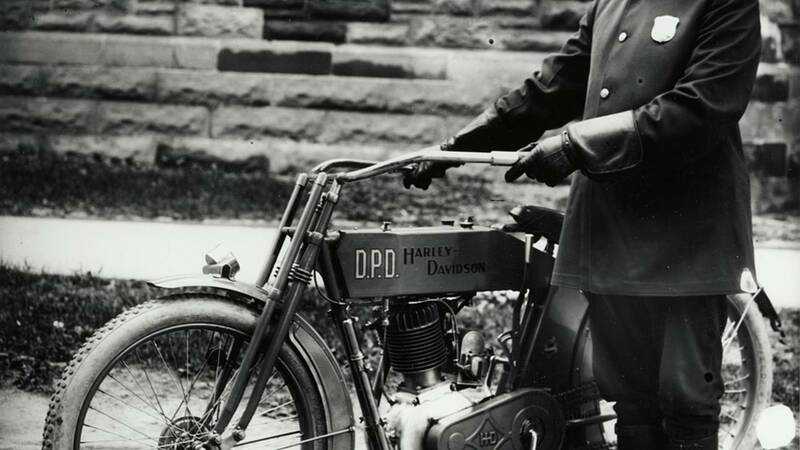 A short history of the Harley-Davidson police bikes and development. From using Harley-Davidson police bikes 104 years ago, to CHP being the first to use Kawasaki models. The motorcycle has been an integral part of law enforcement since the early part of the 20th century and Harley-Davidson has been the motorcycle of choice for Police Departments for the last 107 years. That's not to say that they were the only company to produce police models, but they certainly have the longest history in doing so along with production numbers to prove it. 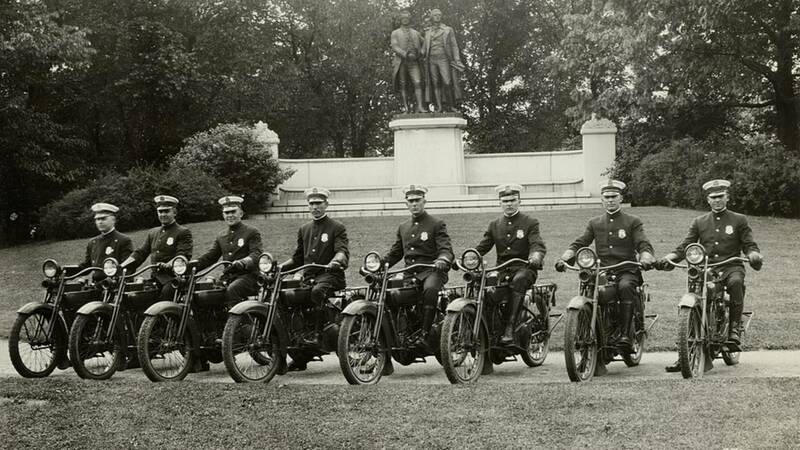 When the first HD police motorcycle was sold to the Detroit Police Department in 1908, the United States was a much different place. There were only 144 miles of paved roads in the entire country, so Harley's offroad prowess was one of their main draws. They were also faster and handled better than the other two main forms of transportation, the horse and the automobile. 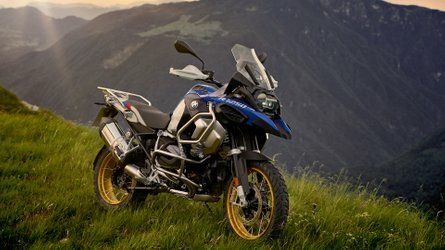 Those distinct advantages made the motorcycle a natural choice for patrolling the mostly rural US. Officer from the Detroit Police Department, circa 1915. Photo courtesy of the HD Archives. The first police models were little more than civilian bikes with different paint or markings. It would be many years before options like flashing lights and sirens would be made available. 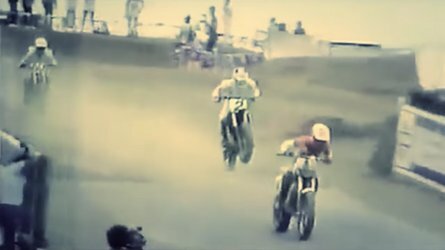 Still, just being mounted on a motorcycle gave the police enough of an advantage that they were able to successfully perform their duties without the need of specialized equipment. This all changed in 1920 when the US entered the Prohibition Era. Flush with cash from illegal liquor sales, bootleggers were able to buy the fastest cars and motorcycles available, leaving the police lagging behind. To add insult to injury, the bootleggers were often riding Harley-Davidson motorcycles, but had purchased the faster 74" JD models that could outpace the 61" J models used by the police. Police officers on J-series Harley-Davidsons, circa 1921. Photo courtesy of the HD Archives. The police not only found themselves having to deal with better equipped bootleggers, but also with the general driving public. Automobile sales began to skyrocket in the 1920's, with 13 million cars hitting US roads by 1923, up 162,500 percent since the first Model T rolled out in 1908. The need for more police motorcycles was greater than ever and Harley-Davidson created a special police division to meet the rising demand for machines. 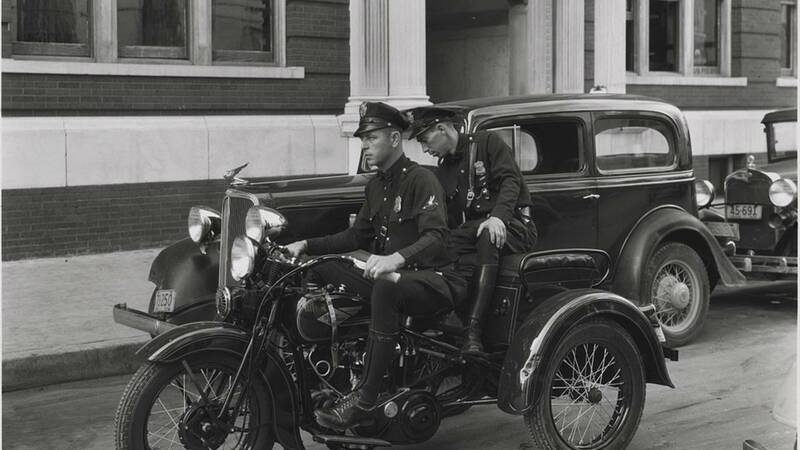 By the end of the Roaring 20's, Harley-Davidson motorcycles were in use by 3,000 police departments in the US, more than double what they had been at the beginning of the decade. 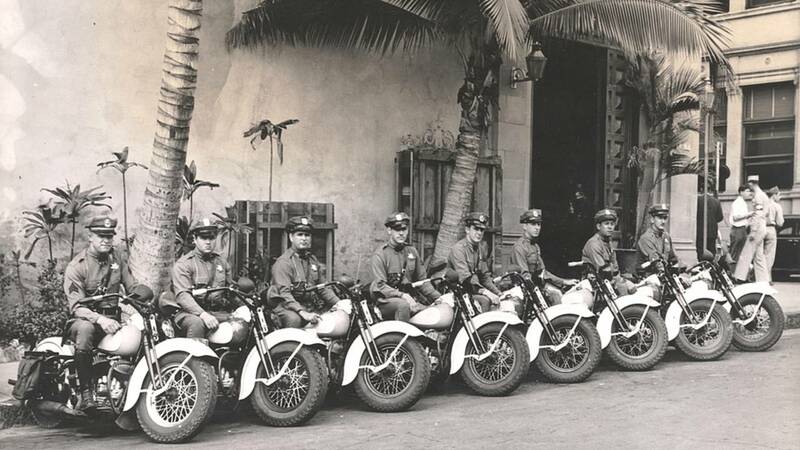 Glendale, California police officers on V-series Harley-Davidsons, circa 1930. Photo courtesy of the HD Archives. 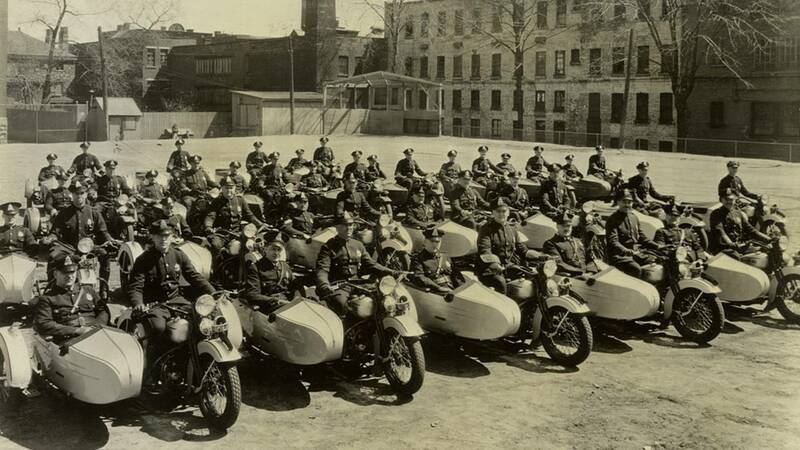 The 1930's marked a decade of new innovation for Harley-Davidson and their police models. In 1931, Harley released the three-wheeled Servi-car which was so popular with police departments that it was produced into the early 1970's. At the request of police departments, the Servi-car was fitted with reversed controls, meaning the throttle was on the left and the hand shift was on the right. This allowed "meter maids" to control the speed of the Servi-car with their left hands, while holding a chalk stick in their right for marking car tires. In 1935, the California Highway Patrol performed road tests with the new 80" VLH model and were able to reach sustained speeds of just over 100 mph. Optional equipment like front fender mounted sirens, special lighting and even the first one way radios all made their debut in the 30's. 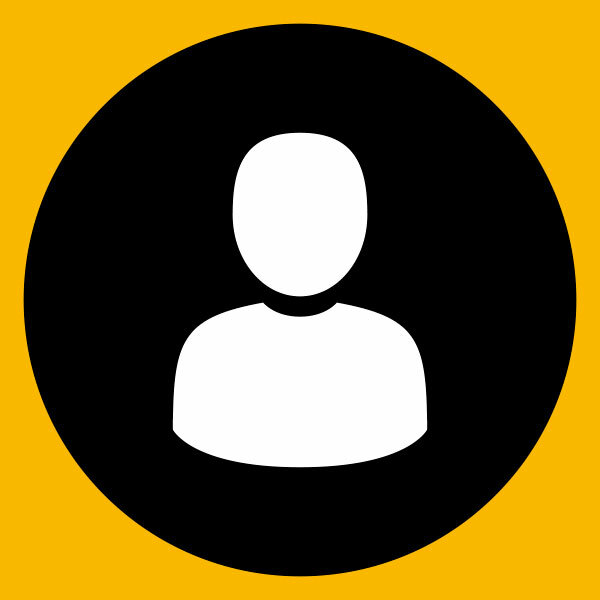 Perhaps the rarest model from that decade was the UMG. 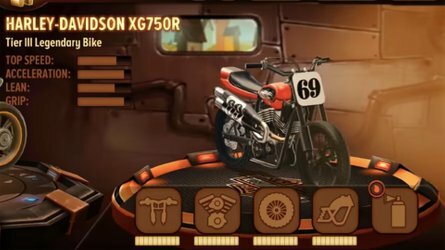 This motorcycle was purpose built to compete with Indian and did so by reversing the controls to match that of Indian motorcycles. It even came in a color very similar to Indian Red. Police officers marking tires using a Servi-car, circa 1934. Photo courtesy of the HD Archives. Although WWII and its aftermath dominated much of the 1940's, there were some interesting developments in police motorcycles during this time. There were of course the obvious advancements in engine technology with Harley moving from side valve to overhead valve engines, along with the ever decreasing size of the radios, but the introduction of fully armored motorcycles is worth mentioning. In 1940, Harley produced a special police model for the country of Chile. 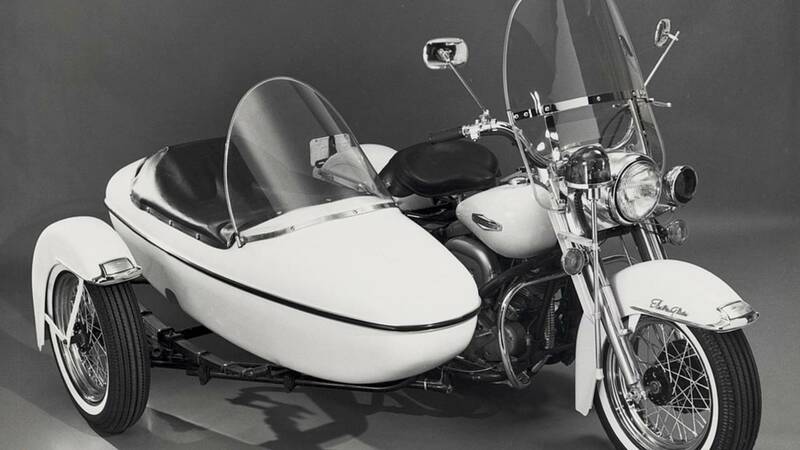 Built around a 74" model U, the bike featured a steel front fairing and armored sidecar. Just to show that the police in Chile meant business, a .30 caliber machine gun was mounted to the sidecar. A similar model showed up at a US trade show, but unfortunately no police departments felt the need to patrol the streets with something that could fire 600 rounds per minute. 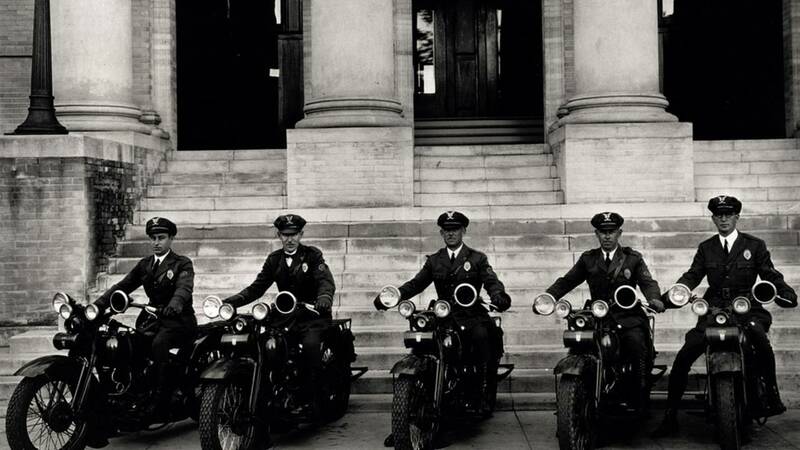 Police officers from Montreal, Canada with sidecar rigs, circa 1937. Photo courtesy of the HD Archives. Indian Motorcycles closed their doors in 1953 leaving Harley-Davidson as the sole US motorcycle manufacturer. 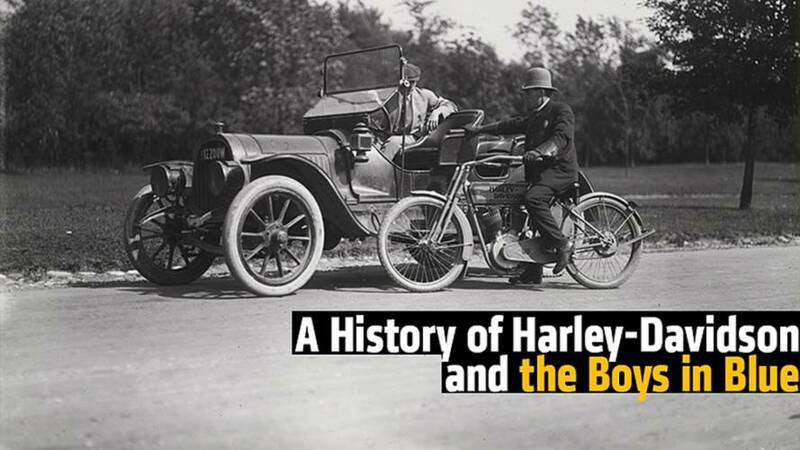 This allowed Harley to continue it's expansion during a time that was once again plagued with an increase in automobile fatalities. To help crack down on speeders, many cities formed special motorcycle squads. Most famous of these were the Tennessee Yellow Jackets. Easily spotted on their yellow and black motorcycles with matching uniforms, the Yellow Jackets had a short run, operating just 6 months during 1958 but left a lasting impression. Other groups would continue to copy their style well into the 1960's all riding Harley-Davidson motorcycles, of course. Police officers from Honolulu, Hawaii, circa 1944. Photo courtesy of the HD Archives. It wasn't until the 1970's that Harley was challenged again for dominance in the field of police motorcycles. 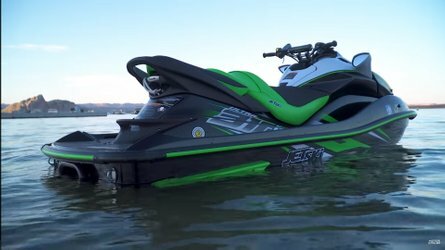 This time the challenge came from overseas in the form of a new Kawasaki police motorcycle. California Highway Patrol became the first major police department to drop Harley-Davidson for a Japanese motorcycle and if you grew up in the 80's you'll definitely remember that the motorcycles used on CHiPs were Kawasaki's. It took Harley-Davidson 10 years to regain their footing in the police motorcycle market with the introduction of the FXRP and their new Evolution engine in 1985. 1968 Police Edition Electra-Glide with Sidecar. Photo Courtesy of the HD Archives. Today, Harley's can be found in over 3,400 police departments here in the US and in 45 foreign countries. 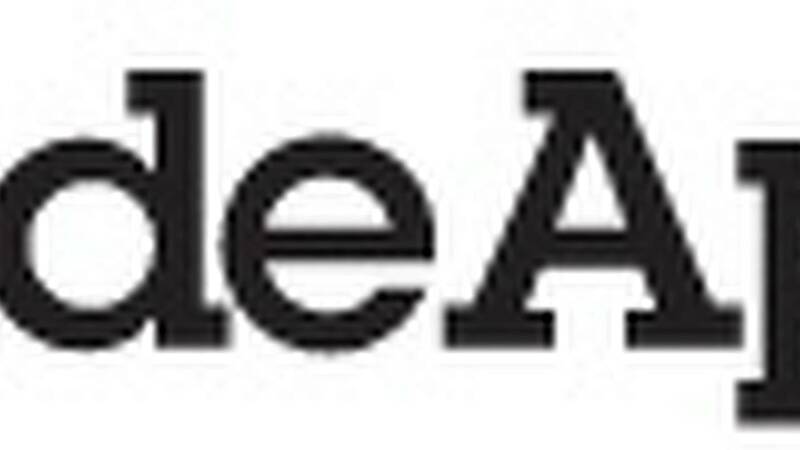 These latest motorcycles include all the bells and whistles, from air ride adjustable seats to saddlebags that can be opened with one hand (need one free hand for your firearm). As long as Harley-Davidson remains in business, there is no doubt that they will continue to produce police motorcycles, based on the best machines they have to offer. Just make sure you keep an eye on the speed limit when you ride past one. 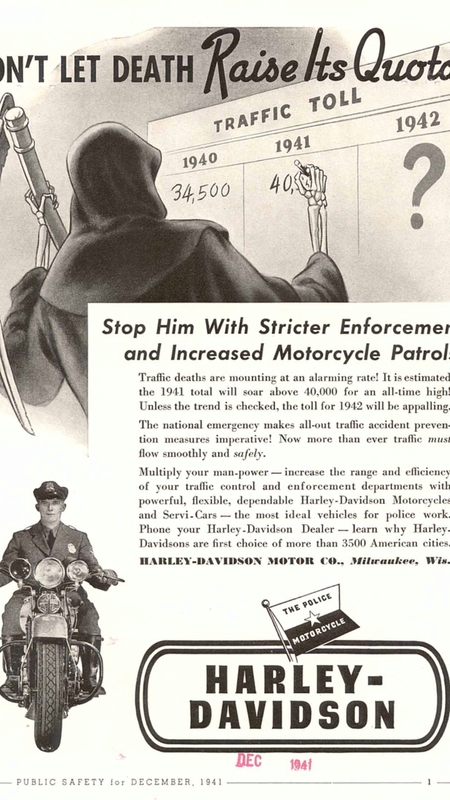 An ad from 1942, encouraging police departments to use motorcycles to help lower the number of auto accidents. Photo courtesy of the HD Archives. Lead photo courtesy of Milwaukee County Historical Society.